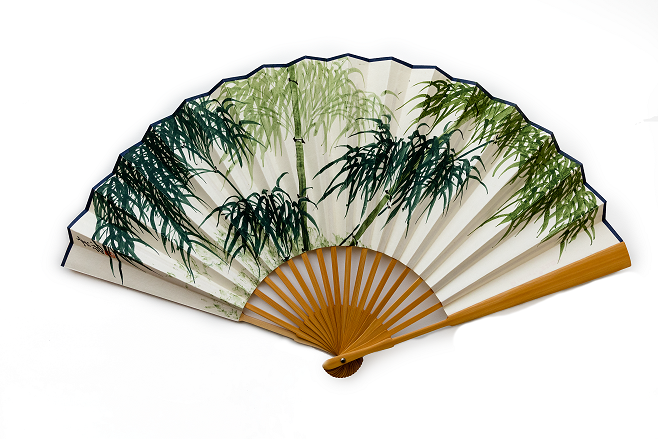 A folding fan with the decoration of ink painting "Green Bamboo"
It is a classical Chinese folding fan decorated with Chinese ink painting of green bamboo. 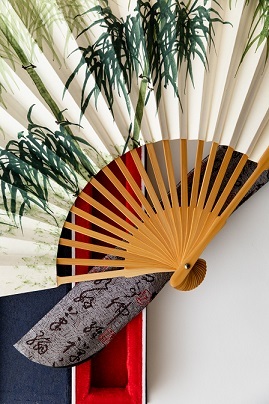 The folding fan is an elegant companion to tea appreciation. The fan is carefully packed in a nice box.